This is the million dollar question and is determined by many different things. According to ‘Choice’ magazine, you should invest somewhere between 5-10% of your property value on your kitchen. So if your property is worth $500,000, think about spending $25,000 to $50,000 on your kitchen so that you don’t cheapen your property or over capitalise on your property. Obviously, a $1,000,000 property should be thinking $50,000 - $100,000 on a new kitchen. But what is the difference from a kitchen that costs $15,000 to a kitchen that costs $100,000 I hear you ask? Well, at the cheaper end of the market, you would design the kitchen yourself (or with a little help from a store assistant), pick the cabinets off the shelf, take them home and set about installing them. At the other end of the scale, you would have a professional kitchen designer come to your property, look at other rooms and how the kitchen needs to work with the rest of the property, ask questions as mentioned above, project manage your kitchen through manufacture and installation. Your finished kitchen would be made from E0 rated 18mm board which emits NO FORMALDAHYDE, solid thick doors – perhaps 18 – 24mm thick, full of gadgets, appliances, automatic lighting inside all of your cabinets, electric hinges / drawer runners etc etc. The other factors that have a huge impact on your kitchen costs are what sort of benchtop you choose, what door finish you have, and obviously how many cabinets you have. Laminate benchtops are the most cost effective benchtops at the moment. 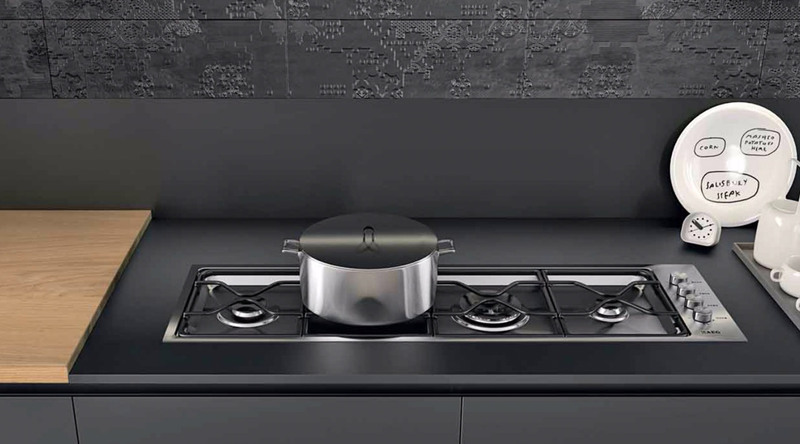 With recent developments in technology, the construction of a laminate benchtop actually makes them one of the best options for many kitchens. Easy to clean, hardwearing, doesn’t chip or scratch easily and doesn’t swell with moisture like they did many years ago. Manmade stone such as Silestone or Caesarestone is very popular at the moment too, with a resin to bond and strengthen to benchtops and are available in many colours. Other options for benchtop are Solid wood, Corian/solid surface, Granite, Marble or stainless steel. The installation and trade work of your kitchen is very often not thought about when budgeting for your kitchen. Typically for the installation of cabinets, benchtop, plumbing work, electrical work, removing the old kitchen, plastering etc this would be somewhere from $3,000 to $6,000 depending on kitchen size and if plumbing needs to be moved. Appliances can also take up a huge chunk of your budget. You may need new oven, Cooktop, rangehood, dishwasher, microwave, fridge, sink and taps etc. For a basic package you could get away with around $3-5,000 going up to as much as $20,000 for the top brands. So, based on information from an independent source – Choice magazine, we at KICH are giving you the service of a $100,000 kitchen, for a price tag which could be closer to the $25,000 kitchen!